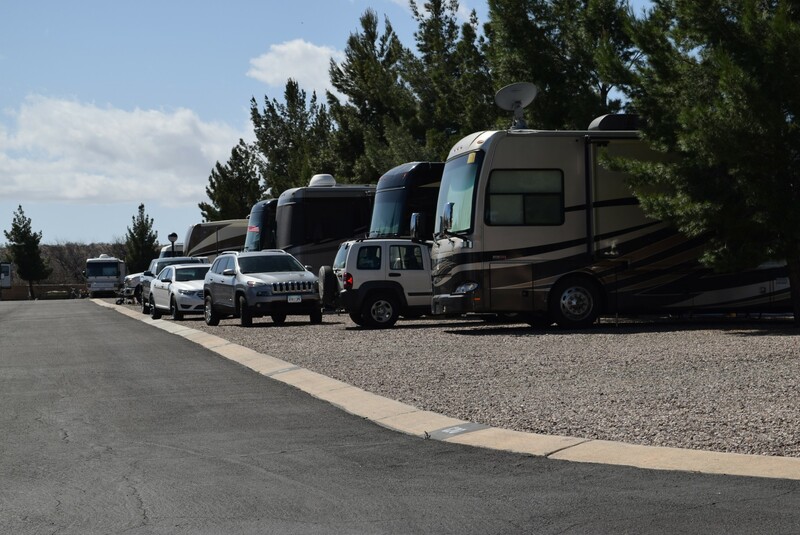 Butterfield RV Resort is a 5 time Arizona park of the year. We invite your camping group to hold a rally with us soon. 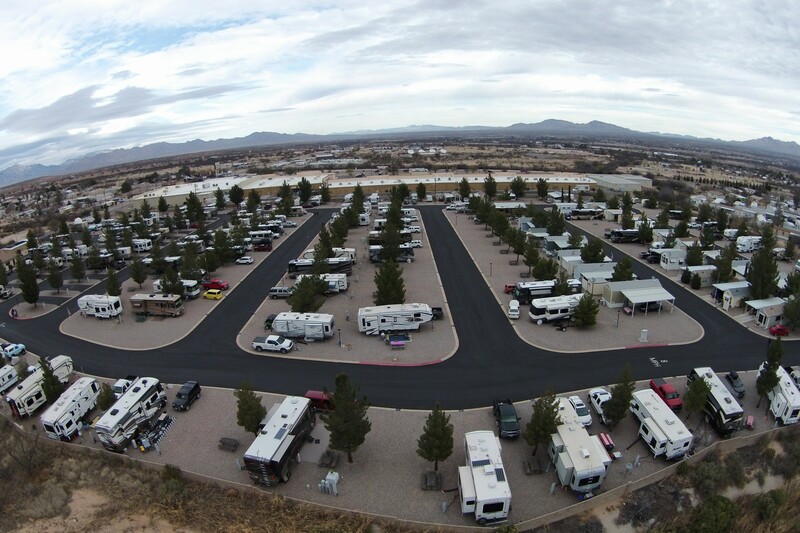 Located in beautiful southern Arizona, award winning Butterfield RV Resort & Observatory is specifically designed and managed to attract the RV community that appreciates an in-town location with out-of-town beauty and affordability, personal attention, friendship, cleanliness and a wide range of recreational opportunities and activities. Benson is located in the heart of historic southern Arizona, well known for its incredibly good weather. This is the ideal “home port” from which to sample and experience the very best of the American West. 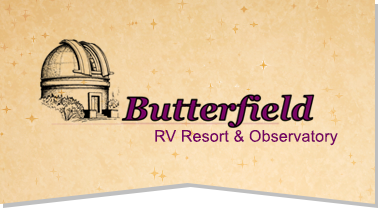 Butterfield is the only RV Resort in the nation with a university-quality observatory. Weather permitting, our nightly programs are absolutely free to all registered guests. This IS an EXPERIENCE not to be missed; we promise. Please click on the “Amenities” button to see all of our wonderful Amenities. 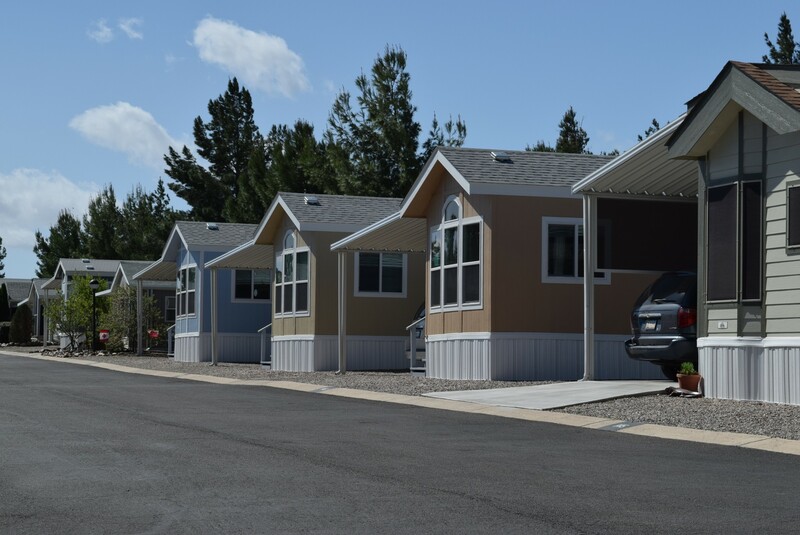 We know your group will enjoy its stay at Butterfield. We sincerely hope to see you soon. BOOK YOUR NEXT RALLY AT BUTTERFIELD! Wagon Master stays one day before and one day after the rally for free! Rally attendees may also get the rally rate for one day before and one day after the event. Rallys may arrange a special group show in our observatory, weather permitting. Complimentary coffee served every morning in the clubhouse at 8am. You may reserve our Banquet Hall for your event, complete with kitchen (Refrigerator Limited), stage and PA system. 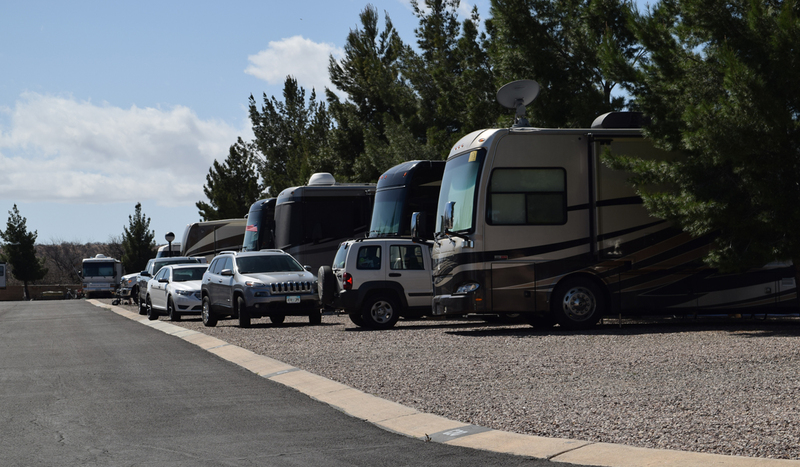 Your rally guests are always welcome at park events and functions. Pricing is dependent on number of rigs. Please call for more information.